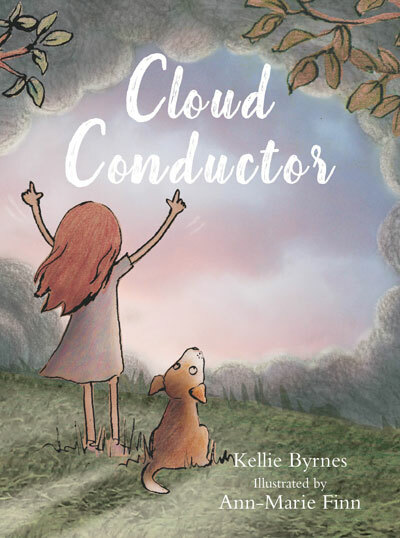 Ann-Marie Finn is a talented and very experienced illustrator (and also an author) who I was lucky to have come on board to do the pictures for my book, Cloud Conductor, which was released by Wombat Books in May this year. I was thrilled when I learned Ann-Marie was going to be bringing the story to life with her artwork, as I love her style and knew that the book would need someone with plenty of experience. The final result is just gorgeous, and I'm very excited to welcome Ann-Marie to my blog today to talk about her work, inspirations, and more. Thank you for providing such wonderful illustrations for Cloud Conductor! Can you please let us in on what the process was like illustrating the story, and what challenges you had along the way? Thanks Kellie. Well, I originally started the illustrations in a very different style to the finished product, but due to a little break I had during the process I came up with a new way of working that I thought suited the story a lot better. So unfortunately it took a little longer than expected due to re-illustrating some of the pages, but I think the finished result was worth it. What is your favourite spread in the book? What about a favourite passage or phrase? I think my favourite spread is probably the one with the colourful autumn leaves. I enjoyed creating the scene with the shadows stretching along the grass and the sunlight shining through the trees. Had you ever illustrated many clouds before? No, I hadn't as it happens, it was very tricky to work out how to do it! While I was working on the book I would often look up at the clouds for inspiration, trying to work out what shapes I could see. This often set off conversations between me and my children and it was nice to look up and find things to talk about and use our imagination in such a simple way. I'm sure lots of kids and adults alike will be reminded of this simple activity when reading the book. I LOVED anything by Julia Donaldson and Axel Scheffler when my kids were learning to read. The stories, rhyme and illustrations were entertaining no matter how many times we read them. From an illustrator point of view I love anything by Oliver Jeffers, especially The Incredible Book Eating Boy. I love the way he puts so many things in his illustrations that you have to look at them over and over again and you still find something new! What influences do you think shape your artwork? Being the owner of a bookshop means that I am constantly surrounded by children's books, old and new, so I am not short of inspiration. Each manuscript I am given will set off ideas in my head too, and the story will usually decide for me what kind of style I will use. I have a few projects I am working on this year, including a variety of characters from snakes to vegetables! 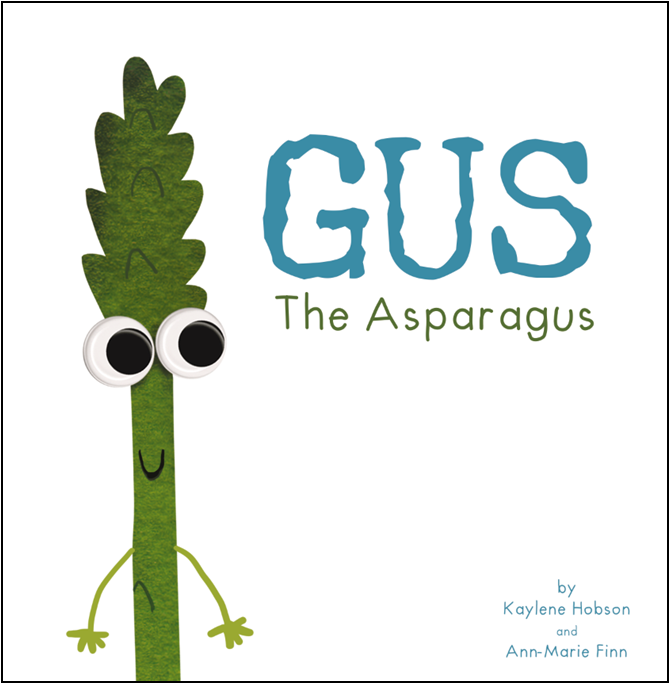 One is the follow up book to Gus the Asparagus which I am pretty excited about, and a few picture books and chapter books from other authors. Plenty to keep me busy! Surround yourself with things that inspire you and don't be afraid to try new things.